A map of Brunei showing where the new plant has been constructed. Methanol can be used as a feedstock for a number of different processes. 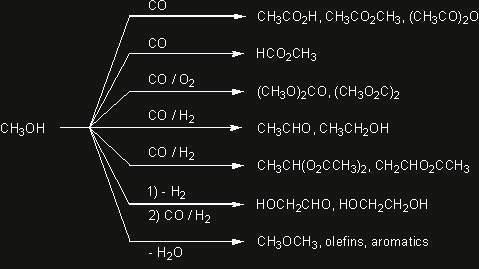 Methanol is produced by the reaction of synthesis gas over a suitable catalyst provided by MGC. Methanol will not just be for use as a solvent; the plant will also produce other products for domestic use and export. 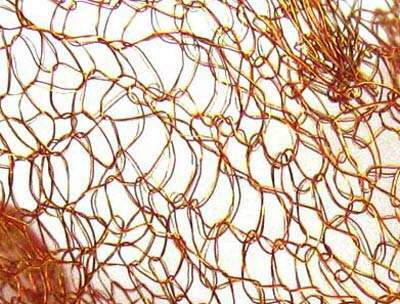 The catalyst consists largely of copper. 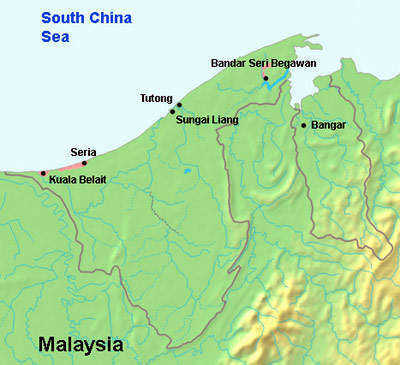 Brunei is a small country (Sultanate) situated adjacent to Malaysia in the South China Sea. The country is not known for its chemical industry but does rely heavily on oil and gas – these account for over half the country’s GDP. In November 2005 the decision was made to construct a methanol production plant on an industrial site near Sungai Liang. The country has always strived for resource independence and industrialisation to an extent and basic chemicals seem a good place to start. Natural gas is available for conversion into methanol, which is in fierce demand. Methanol has a huge and growing demand in central Asia where the production is mainly exported. 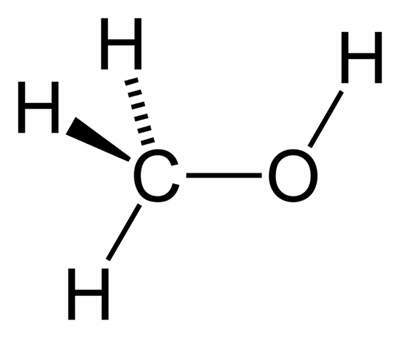 It can be used in a multitude of ways to produce value-added products such as formaldehyde for use in the polymer industries. 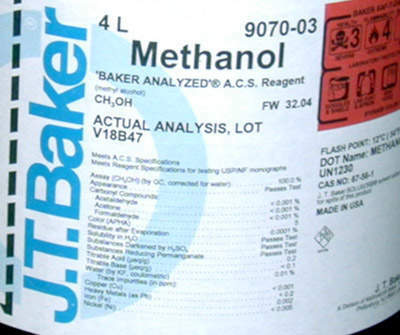 Methanol has an annual demand of 42mt and is expected to increase at a rate of 4%-5%. The usage of methanol in dimethyl-ether (DME) and biodiesel is expected to increase in the future. The new plant is being constructed by a joint venture company (Brunei Darussalam Methanol Project Consortium) consisting of Mitsubishi Gas Chemical (MGC) (25%), Brunei National Petroleum Company Sdn Bhd (Petroleum Brunei) (50%) and Itochu Corporation (25%). The joint venture was established in March 2006. The $450m methanol plant is operated by Brunei Methanol Company (BMC). It employs about 190 staff. The plant is situated on a 16ha site at the Sungai Liang Industrial Park (SPARK) at Sungai Liang in the Belait District. The plant became operational and made its first products shipment in May 2010. Construction of the new plant was undertaken by Mitsubishi Heavy Industries under an EPC basis (engineer, procure, supply). The cost of construction of the facility is estimated at $400m. The plant design gives an output of 2,500t of methanol per day (850,000t annually). Feasibility studies were carried out and planning permits were obtained (Sungai Liang Authority signed over a lease for the site in April 2007) and construction began in 2008. The final investment decision was taken in the fourth quarter of 2007. Construction was mechanically completed in December 2009 and methanol production commenced in April 2010. The plant also produces a range of products from the methanol it produces, including resins, adhesives, polymers, paint and gasoline additives. Mitsubishi Gas Chemical (MGC) signed a Memorandum of Understanding (MoU) with the consortium in late 2005 so that it can buy the entire production of the plant. This was to ensure that the sale and marketing of methanol from the plant is conducted in a fair way with the input of Petroleum Brunei. MGC also agreed to provide technical services for the plant and to supply the catalyst. The plant also needs a good supply of natural gas (methane) to use as feedstock for methanol production. Petroleum Brunei has signed a MoU with the consortium amounting to a gas sales and supply agreement which means that they will supply around 0.5tn cubic feet of gas to the plant over a 22-year period. Brunei Shell Petroleum has also agreed to supply gas for the new plant. The financing for the project was partially secured by a further MoU signed between Petroleum Brunei and the Japan Bank for International Cooperation (JBIC) in October 2006. JBIC provided about $360m as per a finance loan agreement in May 2007.